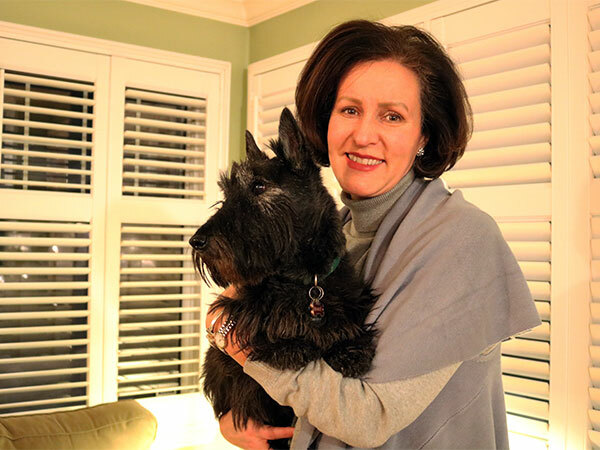 Raylene Lang-Dion — a longtime Alta Vista resident who nearly unseated Coun. Jean Cloutier in October’s municipal election — first became concerned about the coyotes in her neighbourhood last summer. Her daughter, Claudia, was walking the family dog one afternoon near the Riverview Park area when she “came face to face with a coyote that looked as if it was going to attack,” said Lang-Dion. Her daughter picked up the dog, screamed and fled to a neighbour’s house. Since the distressing incident, Lang-Dion and her neighbours have spotted coyotes several times — and heard their calls late into the night. 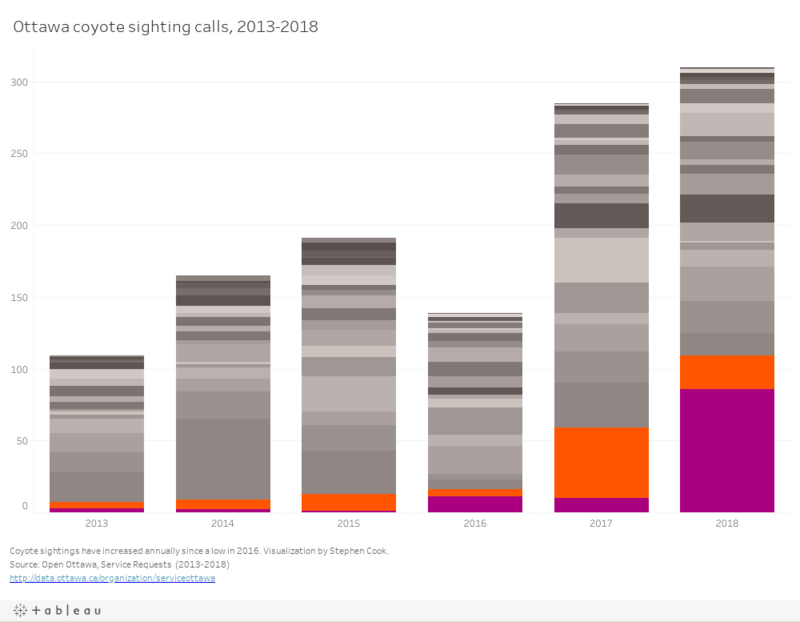 A measure of that can be found in the 310 coyote-related calls the city received in 2018, almost a third of which originated from Alta Vista. 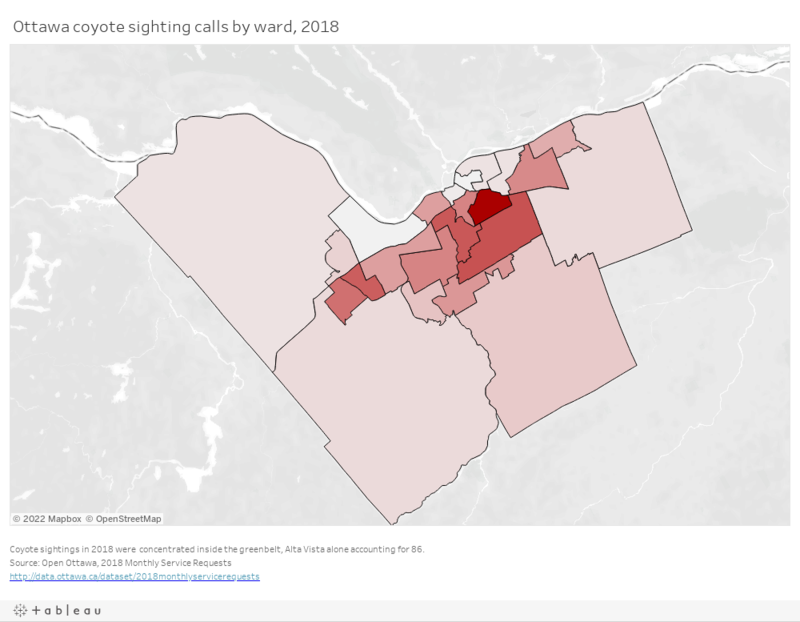 While the number of coyotes in Ottawa is difficult to determine, the amount of calls in 2018 was the highest since the city began releasing service call data five years ago. But it is River Ward — which was responsible for 23 coyote-related calls in 2018 compared to Alta Vista’s 86 — which seems to be doing the most to warn community members about animal sightings. 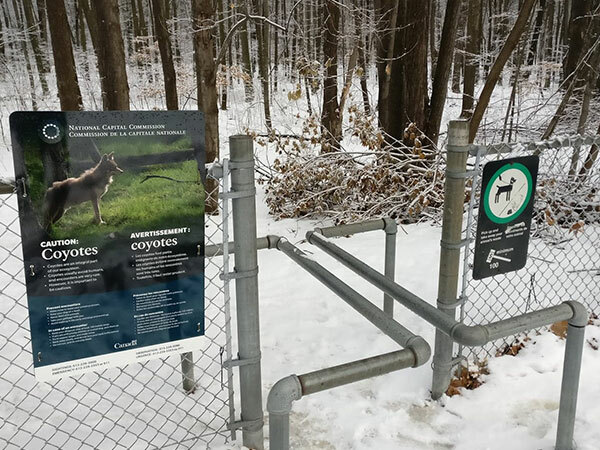 That’s because in August of last year, a coyote attacked a dog in the woods near McCarthy Park, prompting the National Capital Commission to post warning signs at the entrance to McCarthy Woods. “Where’s our coyote warning signs in Alta Vista? I have never seen any,” said Lang-Dion. In an emailed statement, NCC spokesperson Dominique Huras said warning signs can sometimes do more harm than good. “It is not common NCC practice to install signage on the edge of our wooded areas in urban settings: signage can produce unexpected outcomes including fostering fear among residents,” she wrote. 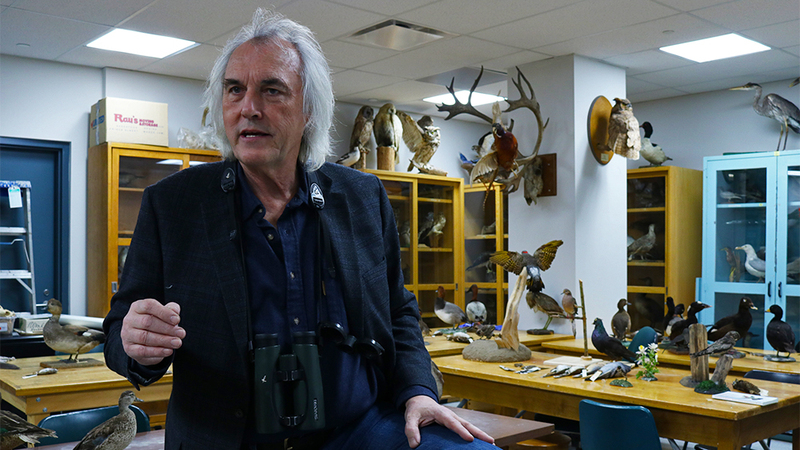 According to Carleton University naturalist Michael Runtz, people shouldn’t be overly concerned by the presence of coyotes — even during mating season, which begins in February. Runtz said areas which back onto farmland, like Alta Vista, are more likely to see coyotes. 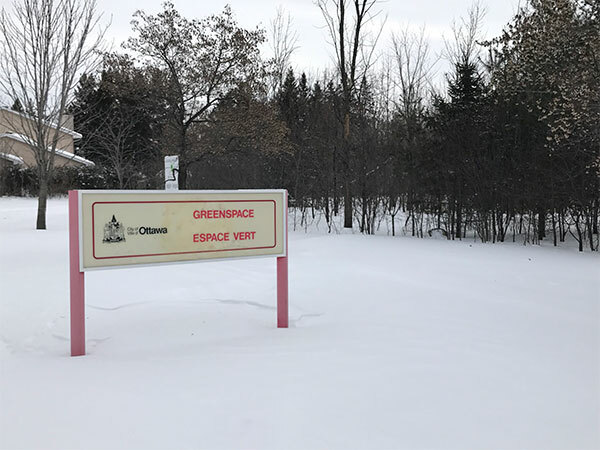 And extreme cold, such as Ottawa has experienced this January, may make their presence more visible because of the added pressure to find food. “In times of food stress, animals will hunt often beyond their normal hours of hunting,” he said. Coyotes, normally active at twilight and during the night, may adjust by hunting during the daytime. 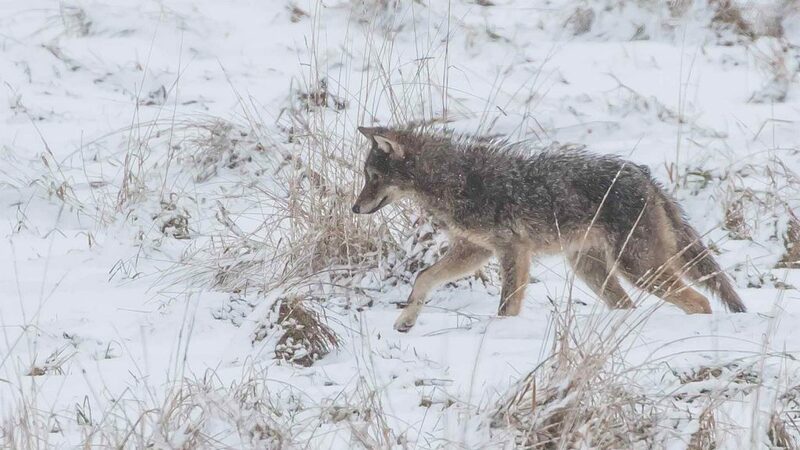 It’s also possible that unusual weather patterns may account for more sightings as coyotes are forced to move further into the city to find food — which may include pets. But Runtz stressed that the risk to humans is minimal. Runtz’s advice is something River Ward resident Adam Ortner is choosing not to follow, even though he’s noticed the signs in McCarthy Park. Like Ortner, not all Alta Vista residents are concerned by sightings of the creatures. Even so, Lang-Dion believes there is more that can be done, just in case. “It should start with getting people together in communities and having a more wholesome conversation about what you can actually do to prepare yourself,” she said.